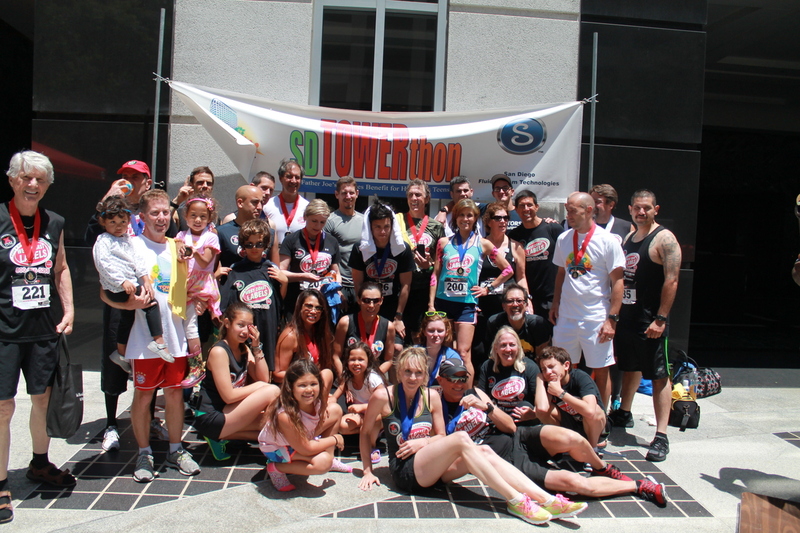 Today was my third time doing the San Diego Towerthon. This is the race that’s not up a particularly tall building, but the race is to see how many times you can climb it in two hours. With all the problems I had over the winter with my back and not being able to walk, stair climbing hasn’t been my strongest suit this year. But now that the back issues are pretty much resolved, I wanted to try and make a decent showing. 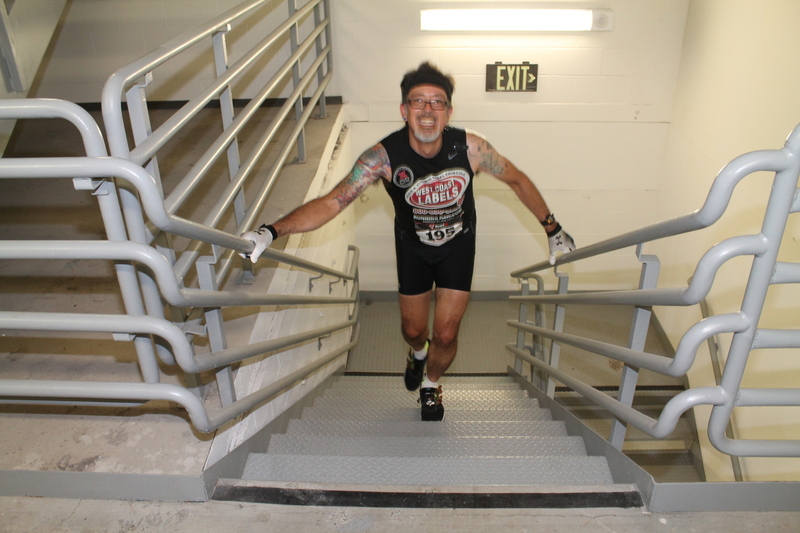 The first time I did this race, I climbed 24 stories 17 times in two hours. The second time, I did 23 stories 17 times. 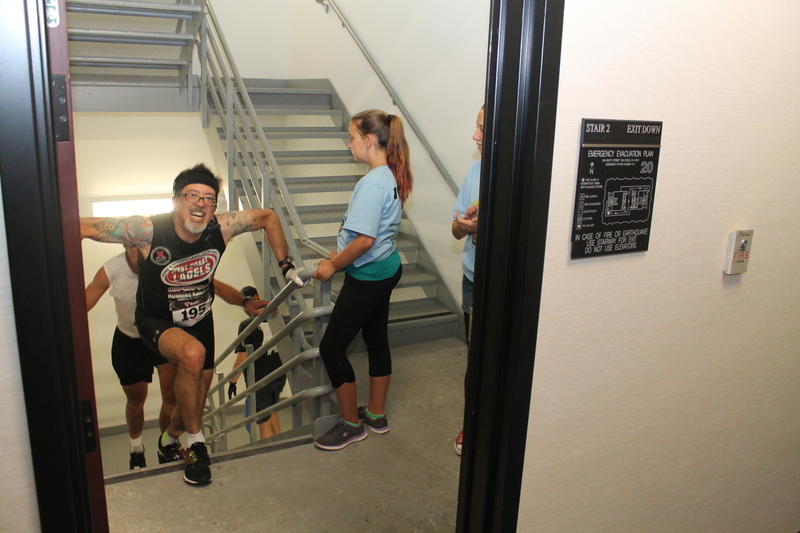 This time, the race was held in a 20-story building, so the climb was an honest 19 floors. My friend George paid a visit to the building a while back to do a proper survey. 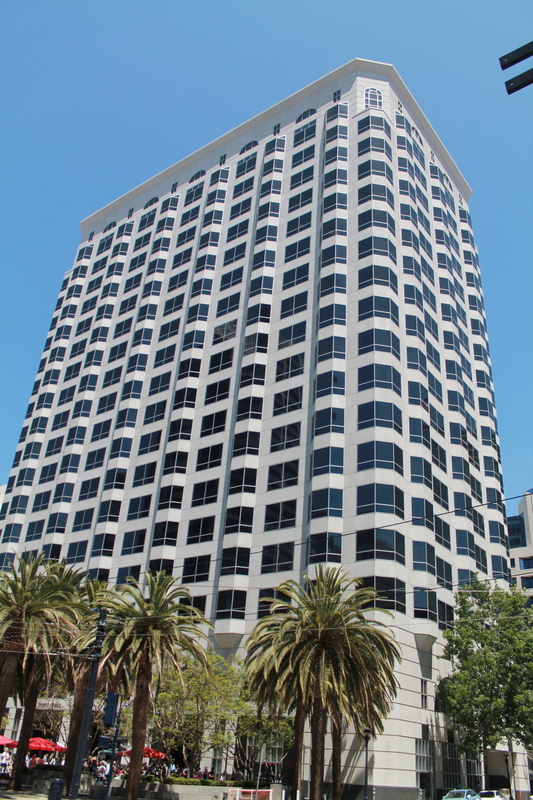 It is 422 steps and about 240 feet to the 20th floor. 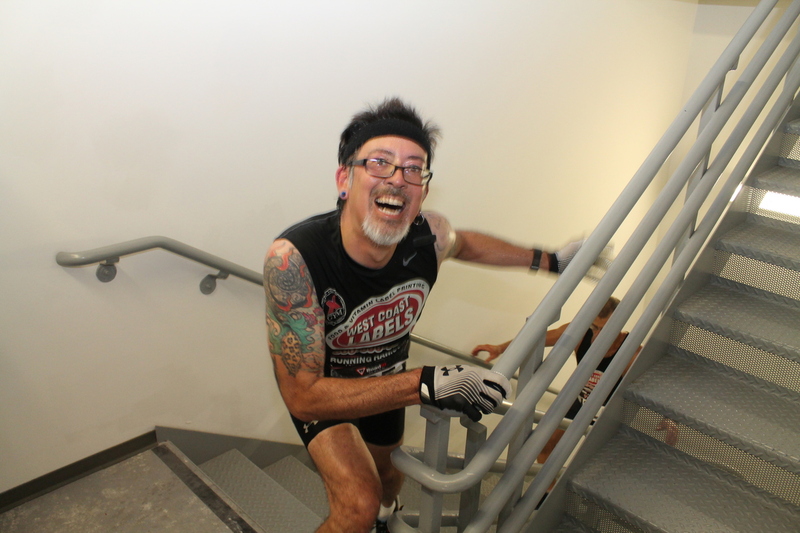 I’m not in as good shape as I was before, so I set an arbitrary goal of climbing the 19 stories 20 times in the two hours. I figured I could do this if I could make about each climb in about 4 1/2 minutes. We were sent off the line one by one, at 10 second intervals. I started at 2:20 on the clock. I started my stopwatch then, and I figured I’d just go until the watch ticked over two hours. The first couple times up were pretty easy. In fact, the whole first hour was pretty easy. 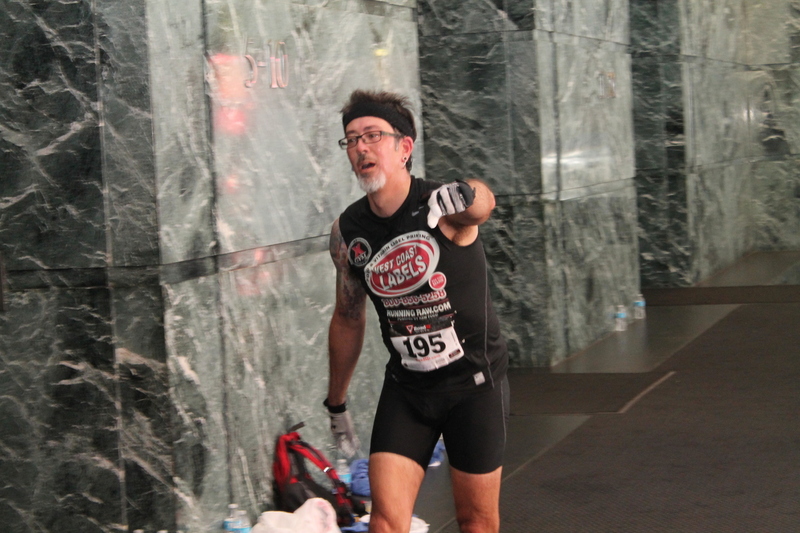 I finished my 10th climb a few minutes before the hour, so I paused in the lobby to stop and gulp down about a pint of Gatorade. 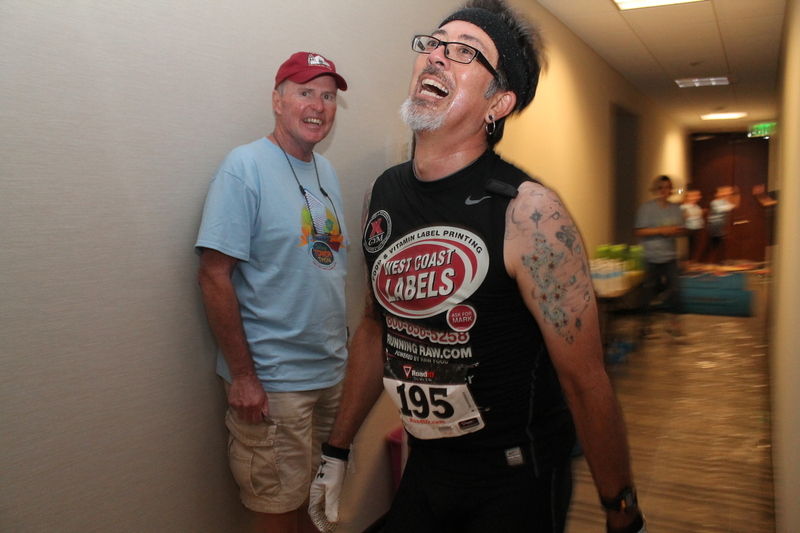 I’d been drinking water during each elevator ride down, so I actually felt pretty good. The second hour got harder. You can see it in the last picture in the lobby. I was about to head up for the 19th time. That was a real slog. I just kept thinking of Dory – “Just keep swimming!” On the 20th time up, I got a little burst of energy at about the 16th floor. 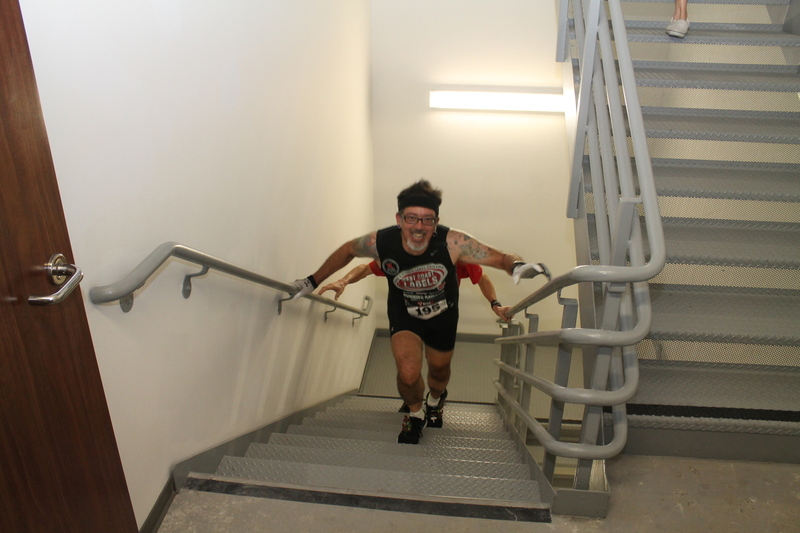 I was able to go fast the last four floors because I knew that once I got to the top I could STOP. In the end, I made my goal of 20 climbs with a couple minutes to spare. So it wasn’t a bad outing at all. So I guess that means I’m not a total loss for this insane sport this year. I didn’t get a medal, but I still did reasonably well, coming in 21st out of 188 or so people, and 5th in my age group. 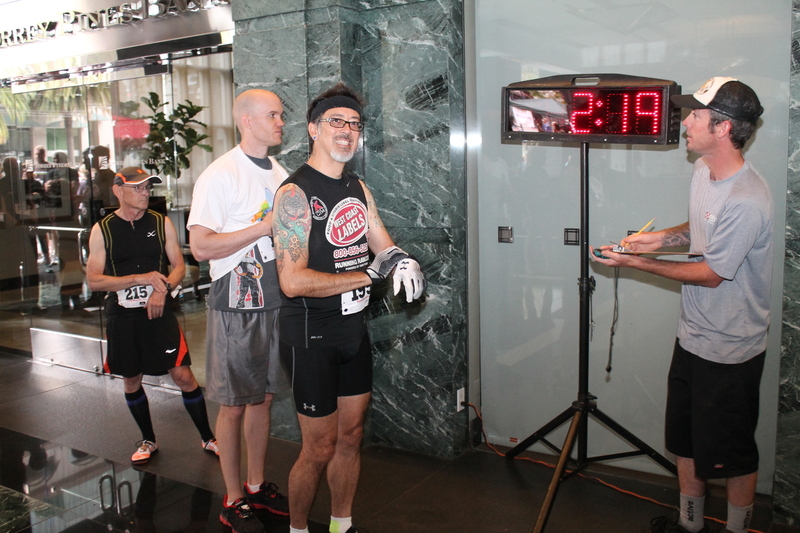 And more importantly, only three people my age or older went faster than me. So I really can’t complain. Too much, anyway. So onward, to the U.S. Bank climb in September.